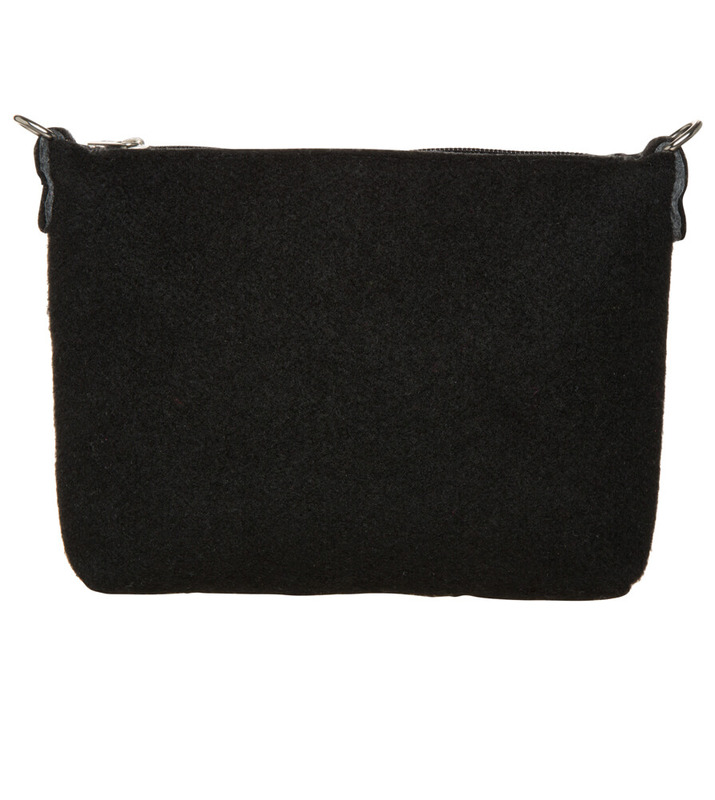 Trachten bag in an authentic felt look. As we all know, Trachten dress has far more than just one side to it: it's playful, it's colourful, it's simple. An accessory with a straightforward, yet striking look is therefore more than enough – and this one can even be worn with casual jeans and long-sleeved shirts! 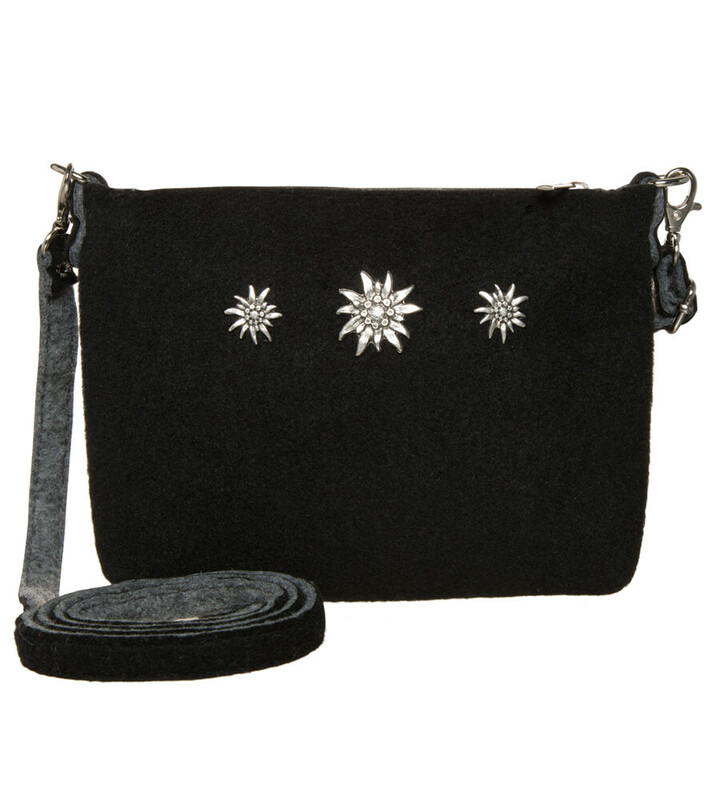 The cute Schuhmacher clutch is as good as a little black dress for day and night, with its cool felt look and zip fastener. Three strikingly placed metal edelweiss appliqués evoke alpine mountains in a modern Trachten look. 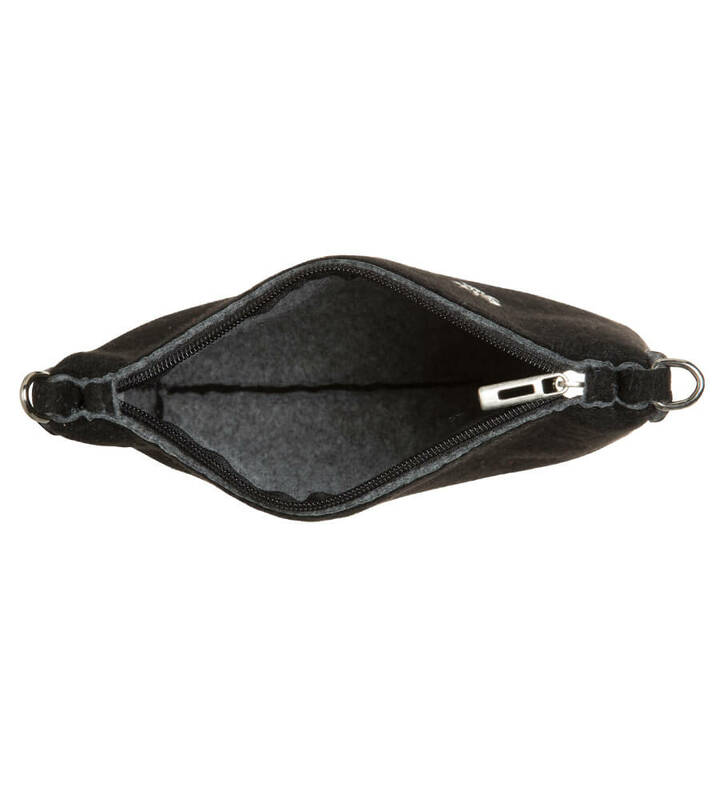 The bag offers plenty of space to store valuables and can be transformed into a shoulder bag at the blink of an eye, thanks to the attachable and adjustable crossover straps. Nettes kleines Täschchen passend zu meinem anthrazitfarbenen Dirndl. Günstig, aber gut verarbeitet. 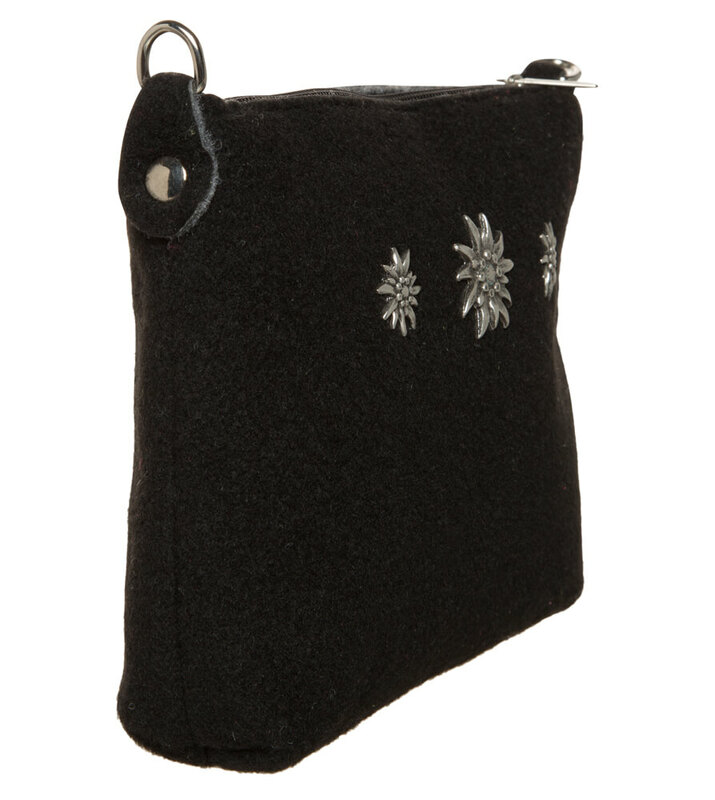 Sehr schöne Tasche! Optimale Größe!